Today, many consumers feel the need to restrict their consumption of table salt. Therefore, salt substitutes are becoming very popular. 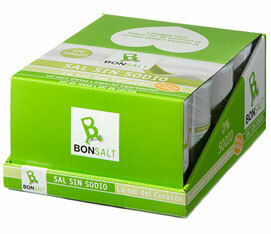 Bonsalt is a salt substitute that has the familiar flavour of table salt and promotes good health. Bonsalt contains 0% sodium (in 100 gr). In addition, it is made of all natural, food grade ingredients.